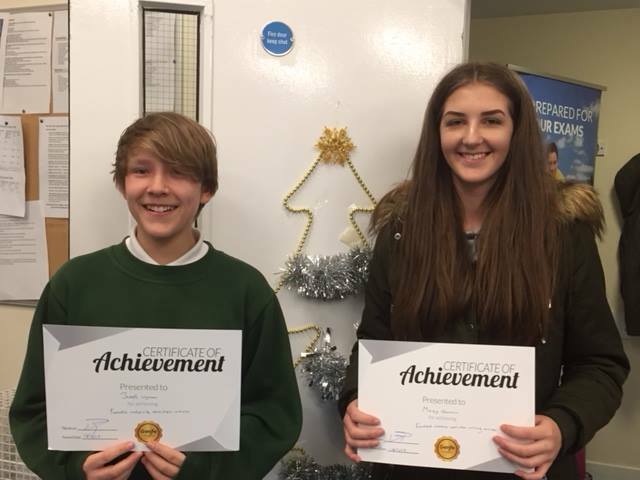 Congratulations to Maizy and Joseph who received a silver certificate for their progress in English at Genie Tutors Eastbourne – just before Christmas. Charlie (your tutor) is really pleased with the efforts you have been making to answer exam style questions in detail. Keep up the good work!